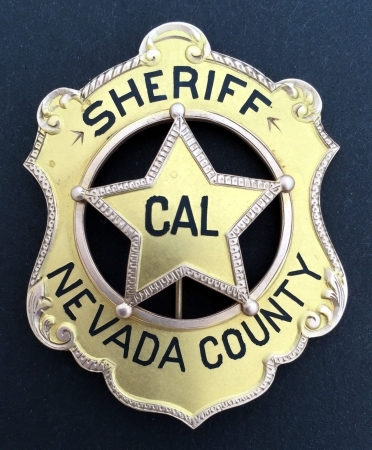 14k gold Sheriff of Nevada Co. Cal. 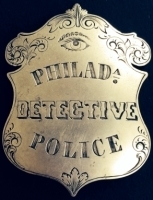 first worn by Sheriff R.D. 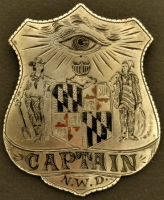 Carter who was elected in 1882 and then by his nephew George R. Carter who was elected Sheriff in 1927. 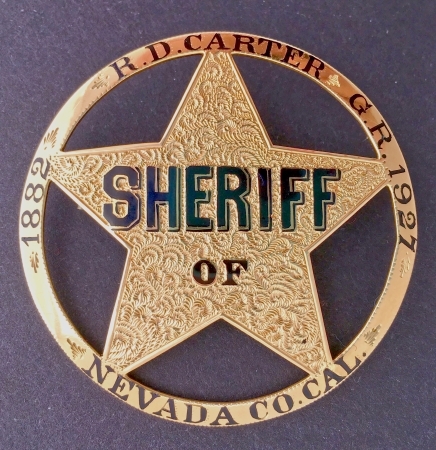 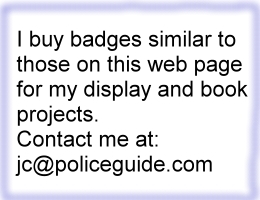 This badge is pictured in Witherell’s book, “California’s Best” on page 27 and in Jim Casey’s book, “Badges of America’s Finest” on page 35.